For bespoke courses, or for courses for schools, please contact the Child Autism UK Office on 01344 882248. We will be pleased to ask a member of our clinical team to call you to discuss your training needs, and to offer a quote. Please select if you are looking to book a course for a school or individual. 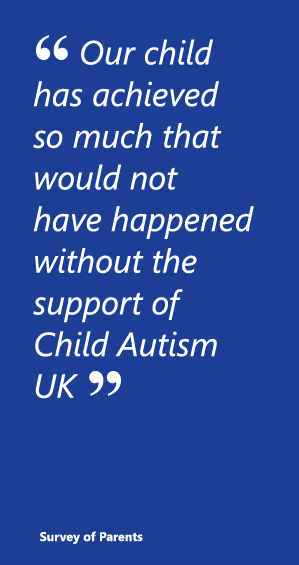 Child Autism reserves the right to cancel the course at short notice and can’t be held responsible for financial commitments incurred by potential attendees. When courses are cancelled by Child Autism UK the course fee will be reimbursed. Courses are rarely cancelled, but this is sometimes necessary if insufficient attendees register or there is transport disruption or staff sickness. Cancellations can only be accepted for refund or credit with one week or more notice prior to the course date, due to printing, refreshments, etc. costs.